Mad River is one of the legendary open canoe brands. TT 16 is perfectly suitable for forest lake paddling in Nuuksio National Park. Book your canoe now. Room for two adults and one or two children – the Mad River TT16 is a very good choice for the whole family for a relaxing canoe trip on the Hawk Lake. 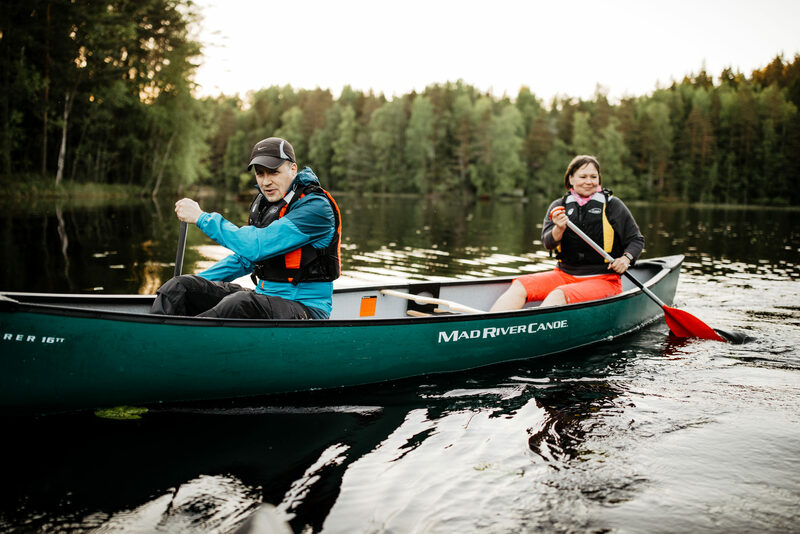 Come and paddle with this wonderful open canoe in Nuuksio National Park.